Just over a week ago I received an email out of the blue asking for a contribution to The Huffington Post to be published on the occasion of His Holiness the Dalai Lama’s 80th birthday on 6 July. Initially I had no idea what to write, after all, what is there left to be written about the Dalai Lama? What could someone like me possibly have to add to all the books, articles and posts about him? But the more I started to think about it, all these memories started to come to me that were related to the Dalai Lama. Strong memories from my several trips to Tibet over a span of almost 15 years and also childhood memories of getting days off school just so we could go to London for the day for an audience with him. A big thank you to everyone who made this happen! Thank you to the Huffington Post editors for extremely quick work. 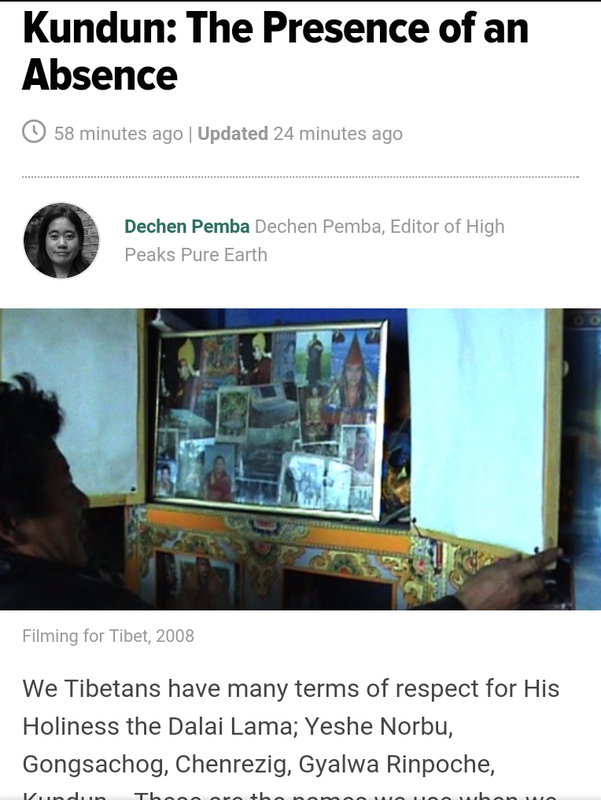 This entry was posted in Family, Internet & Blogs, Tibet and tagged Dalai Lama, Huffington Post. Bookmark the permalink. ← Photos from the “Banned Expression in Tibet” Event at Kings Place and Thanks Yous! really I think we Westerners need to know more about how Tibetans see the world. You really feel that you can get something by seeing HHDL, it seems like it to me!